What is the term for colour screen theme in movies? The Matrix movie has a dark green tint in the whole series. Just like Matrix, every movie has a screen colour theme, like the Underworld movie was all a dark gothic blue theme. 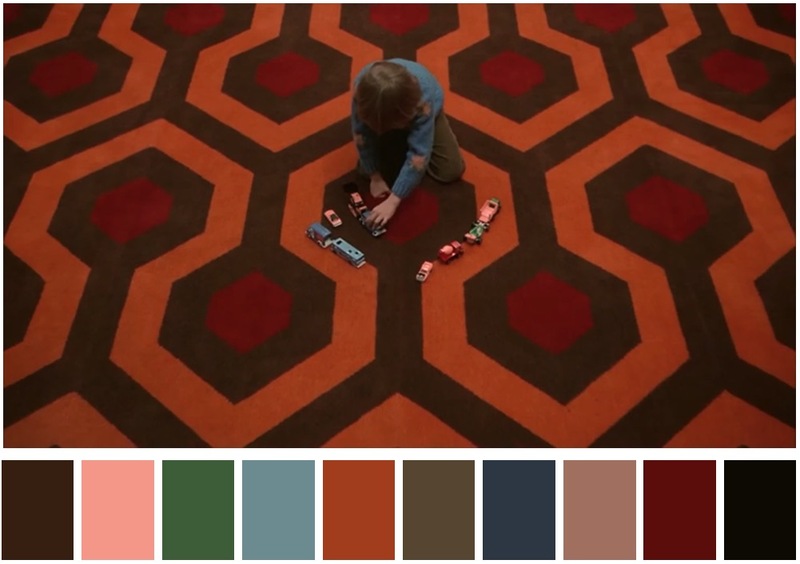 My question is, what is the term for this colour screen theme in movies? TV Tropes call it Color Wash. The director/director of photography/production designer thought it would be a good idea to do something fancy to the colors. This could be saturating the colors so everything looks more vivid than normal. More often than not, this means making skin appear orange-y and everything else teal. Another example would be shifting the entire color palette - making (almost) everything appear a certain color. Color wash is usually done in post-production on "naturally" shot footage but some directors use physical filters on the camera either as a stylistic choice or due to technical constraints of a particular shot. 1. Complementary Color Scheme: Two colors on opposite sides of the color wheel make a complimentary pair. This is by far the most commonly used pairing. 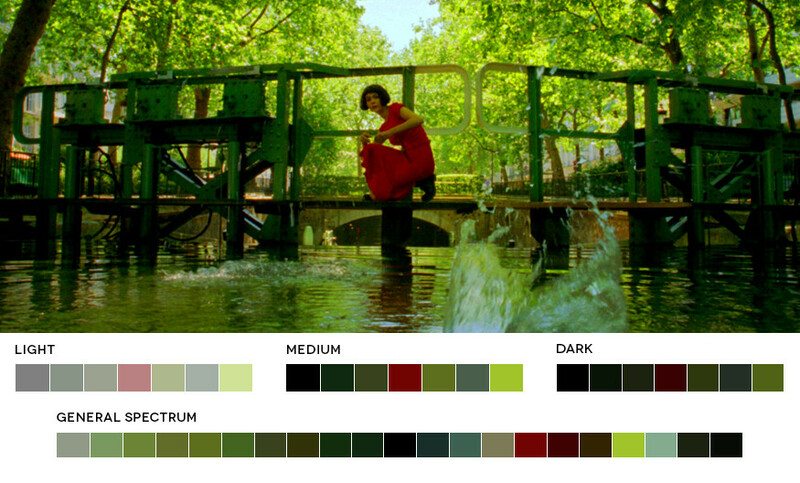 The color palette of Jean-Pierre Jeunet’s “Amelie” is a great example of a complementary pairing of red and green. 2. Analogous Color Scheme: Analogous colors sit next to each other on the color wheel. They match well and can create a overall harmony in color palette. It’s either warmer colors, or cooler colors so doesn’t have the contrast and tension of the complementary colors. 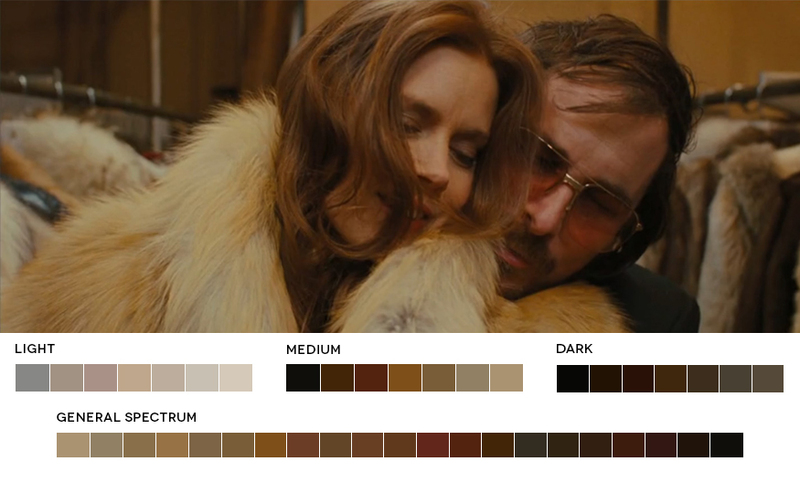 Reds, Oranges, Browns and Yellows in this scene from “American Hustle” fall next to each other on the color wheel forming a warm overall feel with very little tension in the image. 3. Triadic Color Scheme: Triad Triadic colors are three colors arranged evenly spaced around the color wheel. One should be dominant, the others for accent. They will give a vibrant feel even if the hues are quite unsaturated. 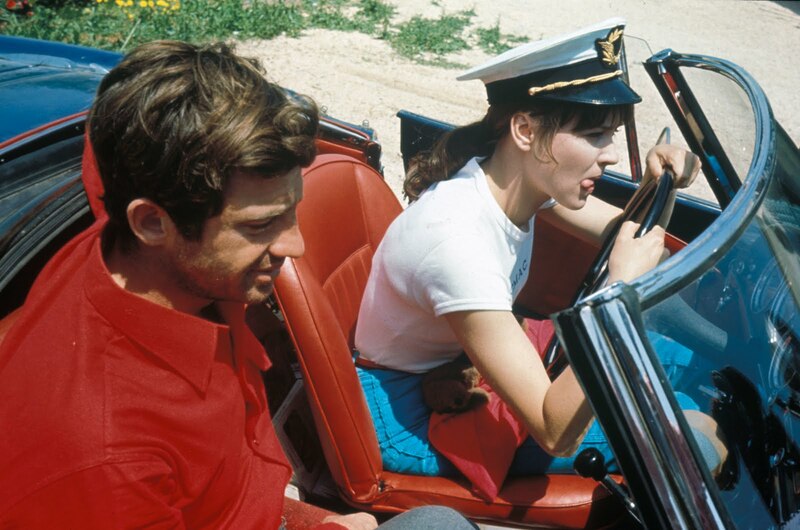 Jean-Luc Goddard’s 1964 “Pierrot Le Fou” makes use of a triadic color scheme of red, blue and green. 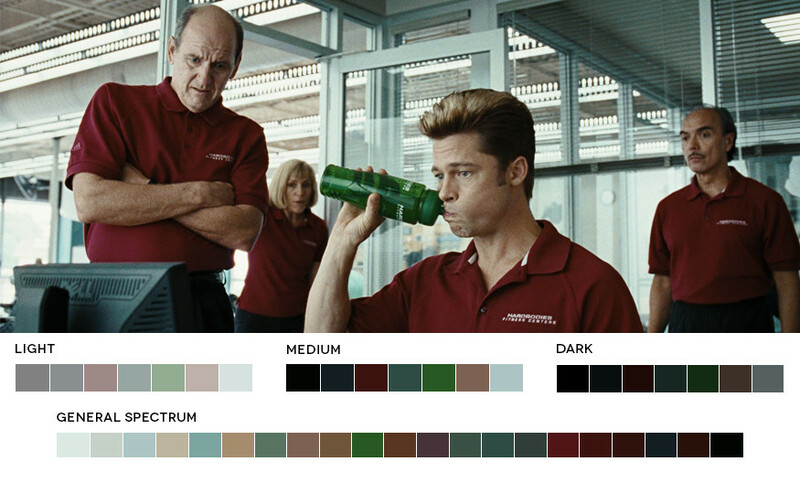 A split complimentary color scheme in this scene of the Coen Brother’s “Burn After Reading” of red, green and teal. 5. Tetradic Color Scheme: Tetrad Tetradic colors consist of four colors arranged into two complementary pairs. The result is a full palette with many possible variations. As with most of these color harmonies, one color is usually dominant. 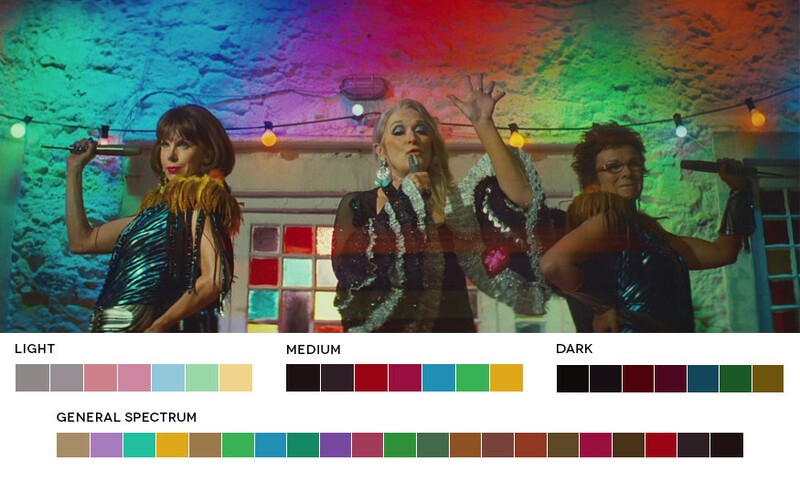 “Mama Mia’s” colorful party scene falls into the example of a tetradic choice of colors creating a well balanced and harmonious palette in a scene that could otherwise have looked like a bad disco. Also as mentioned by Napoleon Wilson in comments, it's called as color grading and colour tinting in our own site. 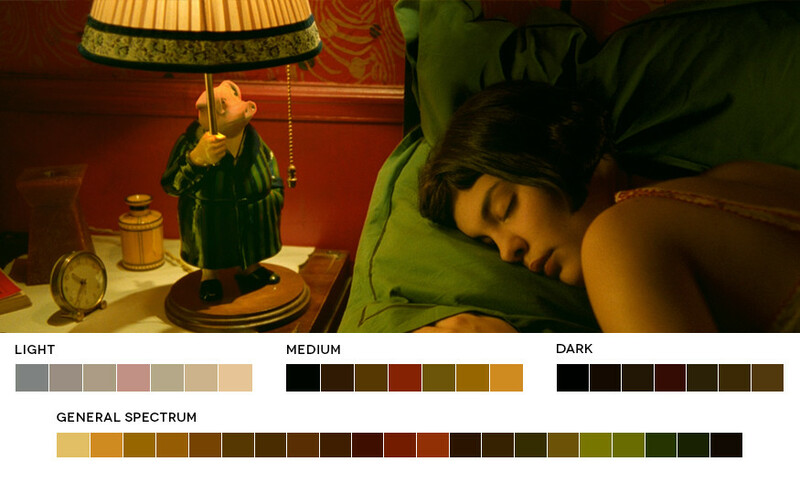 The term is color palette, and in film it can be informally known as a cinema palette. More examples can be found here and here. Not the answer you're looking for? Browse other questions tagged effects terminology . What's the distinct color grading in David Fincher's movies? Why the yellow-orange tinting of the entire movie? Is the “season” meant to be the interval from September/October to May/June or is it not strictly defined like that? Why do professional green screens look so much better? Is there any term for the following subgenres of horror movies? Term for a movie that tells a lot through its backdrop? What's the term for a scene in a film that references previous material to make a perfect moment? Is there a name for characters who are not exactly part of the movie but affect the incidents in the movie?